Hailey was quiet, shy, and her best friend was her mom. When a new neighbor arrived, Scarlet, she started drifting away from her and her mom’s relationship and that’s when Scarlet took over the best friend spot. Scarlet was a boy crazy, adventures, popular girl making Halley her sidekick. They did everything best friends do, share secrets, sleepovers, and always being there for one another. 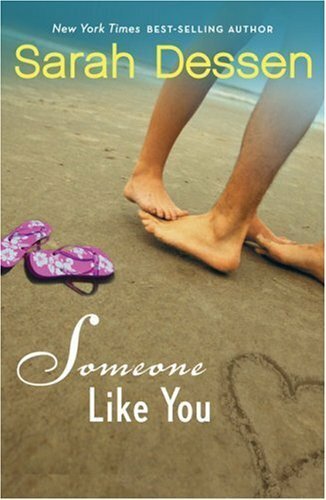 One summer everything took a turn down the wrong road, when Halley received a phone call while she was at camp. She hurries home to find Scarlet sitting on the front porch, she had obvious been crying over the death of her nice, sweet, charming boyfriend. Halley knew this was when she had to take the supportive role and help scarlet through it. As the days continue more horrific news appears as she finds out she is holding a living and breathing human inside her. Halley knows it’s going to be hard for Scarlet to push through this disaster, that’s why Halley is going to pull her to the end. Everything will change, but that’s why Scarlet needs the person closest to her heart to help her, Halley. This book just shows how Sara Dessen can really connect with the readers and she knows how do get them interested. This book I still cannot get out of my mind because it was so great and interesting with all the twists, turns, and shocking truth about those two girls. Throughout the book it shows us that anything to happen at anytime whether it’s for the good or bad, but everybody can push through it. This shows me that everybody needs a best friend for the ups and the downs for the cries and for the laughs. There is always going to bumps in the road, some bumps take longer to get over then others. With this book it really tells me that love is important, but friendship is something we can’t live without. I recommend this book to mostly females who like surprising twists, amazing characters, and a little bit of a romance. Sara Dessen writes truly amazing books, and I can’t wait to read my next book by her, Lock and Key.